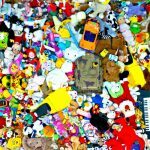 If you have kids you know that in a short time your child’s toy box can be overflowing with toys. Some toys get played with once or twice and just sit and collect dust on the shelf. Giving non-toy gifts is a great way to minimize the toys and perhaps inspire a new hobby or interest in your child. 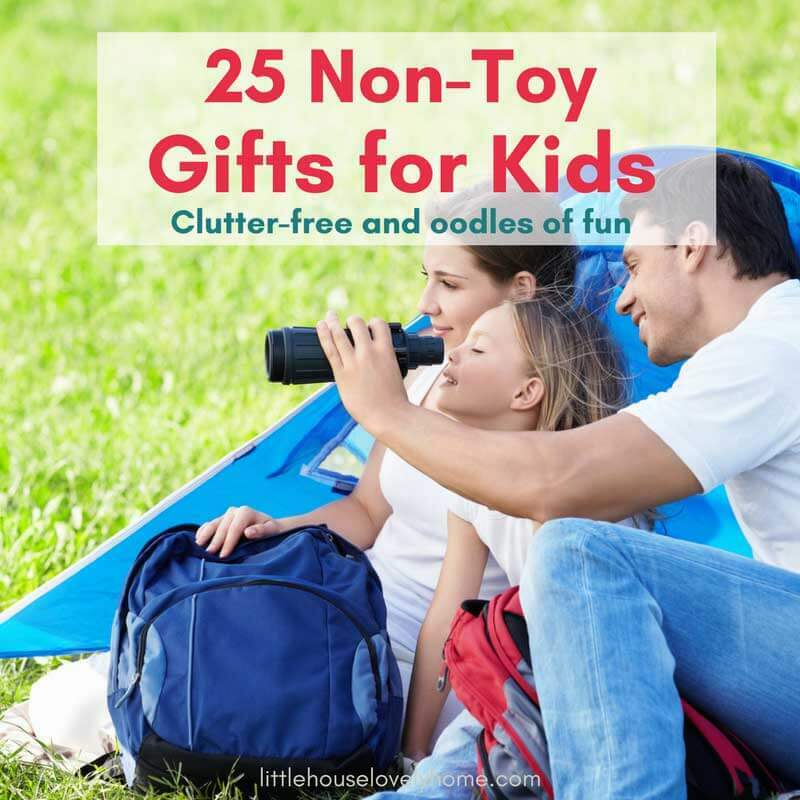 Non-toy gift ideas don’t have to be boring. Many of the options below will be highly enjoyable for your child! Perhaps even more so than a single-purpose toy. 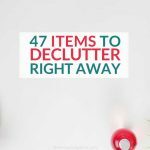 Just skim through the list and see what stands out. Note: This post contains affiliate links, meaning I will receive a small percentage if you make a purchase. This is a fun one if you have any events that will be taking place soon! Maybe your child loves Disney on Ice, or you have a fun kid’s concert coming. Give your child a ticket to the show or event. Encourage your child to be able to enjoy their passion. Maybe they love music, pottery, dance, or horseback riding. Just book them a class to their favorite hobby! They will really enjoy getting to grow and learn. This would make a great minimalist gift for mom and dad, too! If you want to work at helping your child learn to save money, consider a piggy bank. When you give it to them, have some money already in it so it is exciting for them. 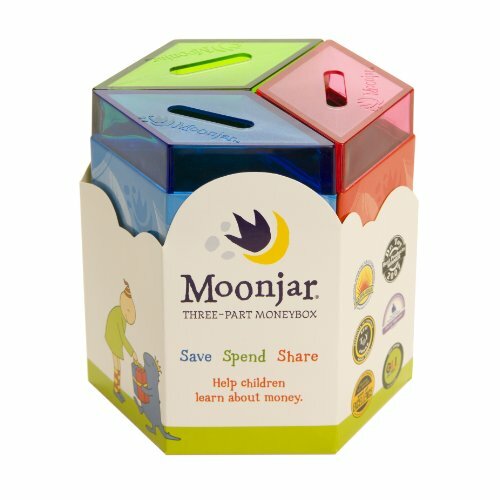 This Moonjar has three separate compartments. Save, Spend, or Share. This is such a neat way to teach your kids about money and make it fun at the same time. Have a favorite zoo, aquarium, or theatre you enjoy going to? Consider buying a membership for your child so they can attend and visit regularly. Maybe you want a practical gift. 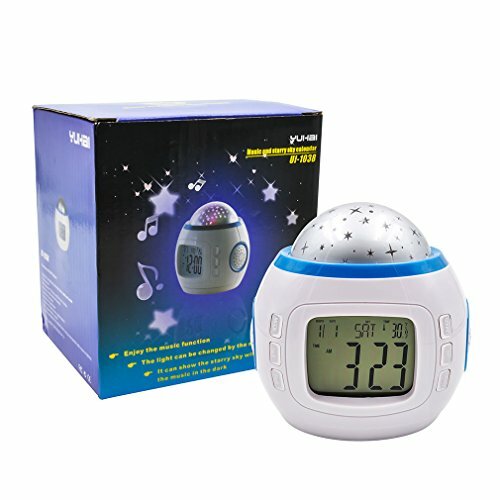 Get them a clock like this one, it has a stargazing option to put stars up on their ceiling and walls. It is a really neat alarm clock. Music is a great way for children to learn and grow. 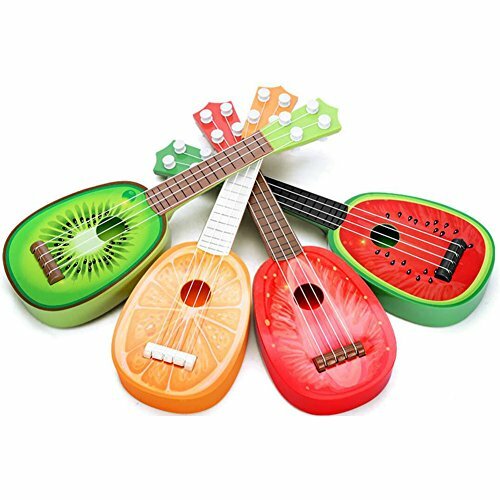 Maybe your child shows interest in guitar or keyboard, consider buying them an instrument along with lessons. 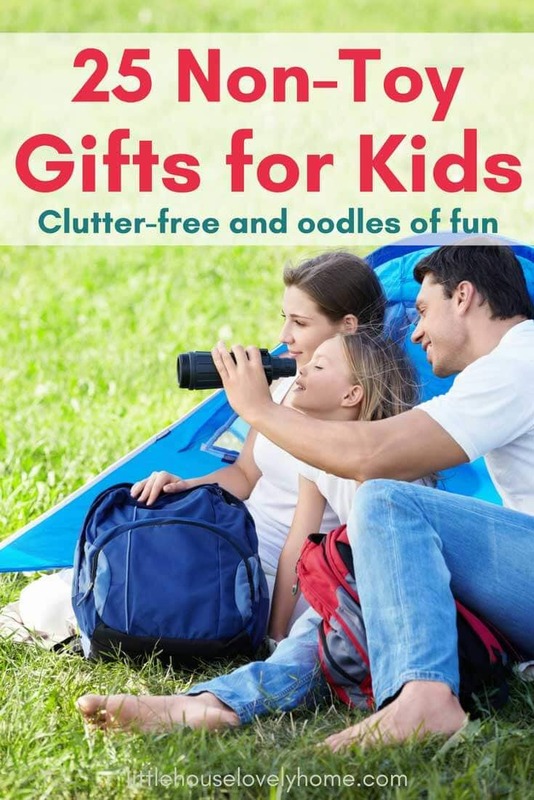 Maybe your child loves to be outdoors if so consider a pair of binoculars and bug catching container. This is a fun way for your child to get out get exercise and explore nature. You can never go wrong with any kind of book. Whether it is a fun holiday book, personalized with their name, kids love them! It allows them to use their imagination. 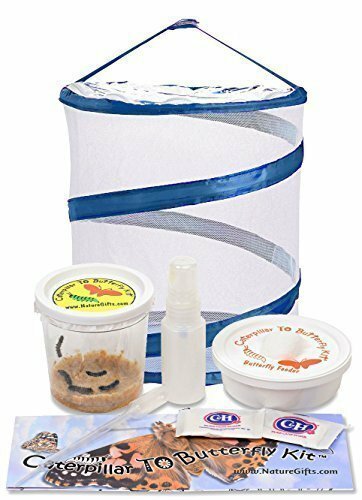 Let your child see first hand the transition from a live caterpillar to a butterfly with this butterfly kit. It comes with five live caterpillars that you can watch as they prepare to transform into a butterfly. Get your child a comfy bean bag so they can sit back and relax as you watch television together at night. Or they can have it in their room as they relax and read books. Have you given non-toy gifts? Any suggestions to add to the list? I gave my sons quality adult size tools one at a time, appropriate for their ages, for a number of years—a big metal toolbox, a metal retractable tape measure, level and hammer are some of the favorites, still in use.